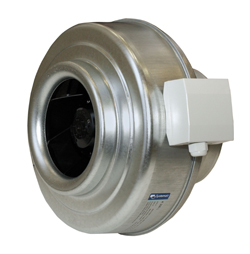 The K series is designed for installation in ducts. All the K-fans have minimum 25mm long spigot connections. the bracket included as standard. The FK mounting clamp (as accessorie) prevents the transfer of vibration to the duct. To protect the motor from overheating the fan is impedance protected.